Ah, Hoboken. 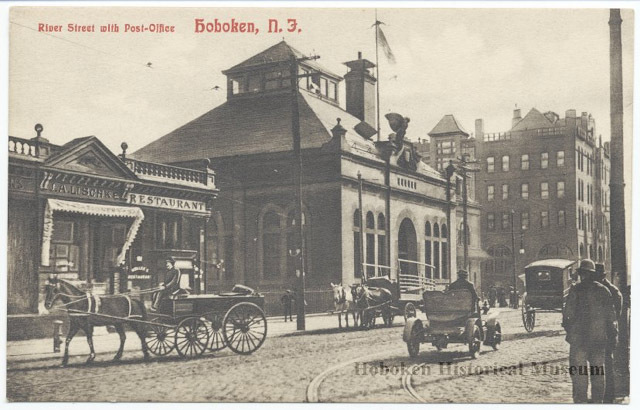 In addition to being the worst-selling version of Barbie's beau in history (Hobo Ken), Hoboken is a bustling city that lies just across the river from lower Midtown Manhattan. 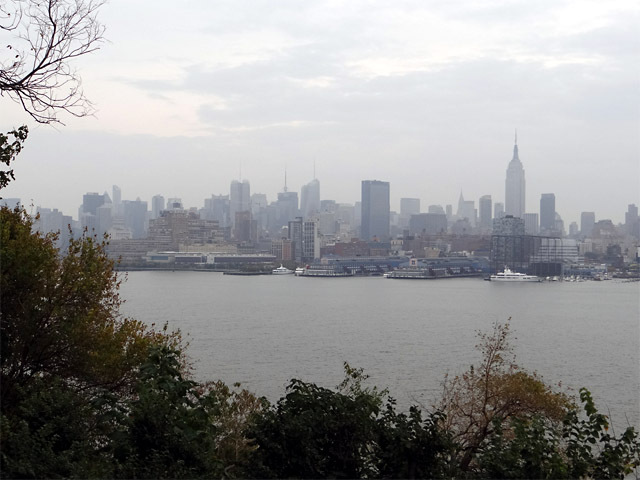 The city is one of the densest in the country, with approximately 53,000 people crammed in its 1.28-square-mile land area (about 65 people per acre). 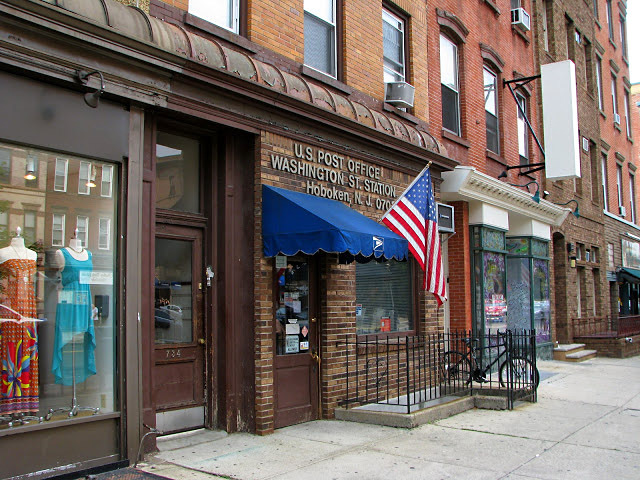 The density of the city's post offices reflects its population: Hoboken houses a main post office, three classified (USPS-staffed) postal stations, and one Contract Postal Unit. 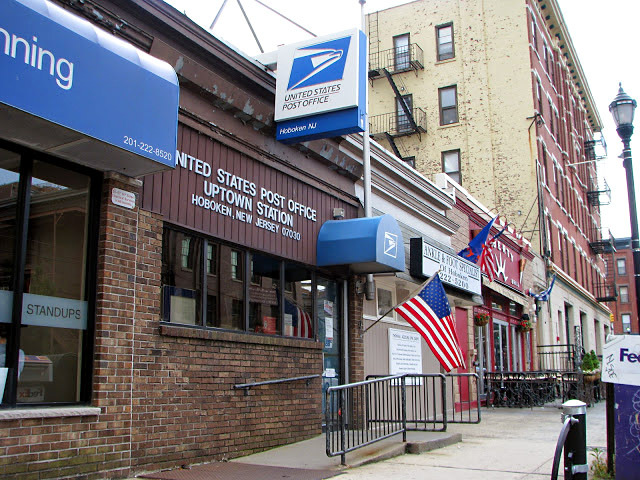 No post office lies further than 0.7 miles from its nearest neighbor. Here's an aerial view of the southern two-thirds of the city, with its post offices highlighted. 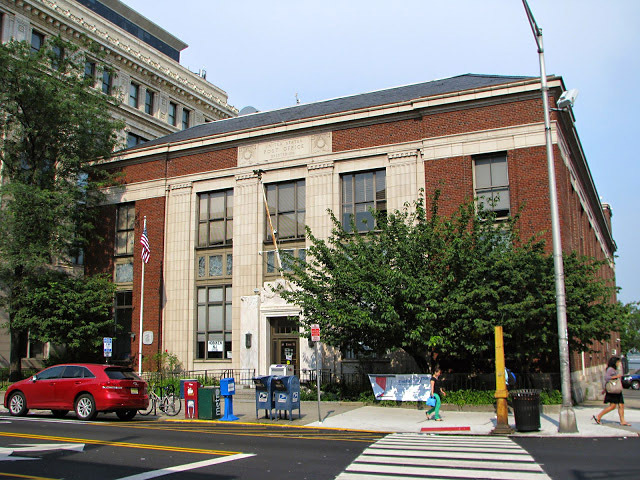 Hoboken's main post office, dedicated May 16, 2003 as the Frank Sinatra Post Office Building, was constructed during the early 1930s. 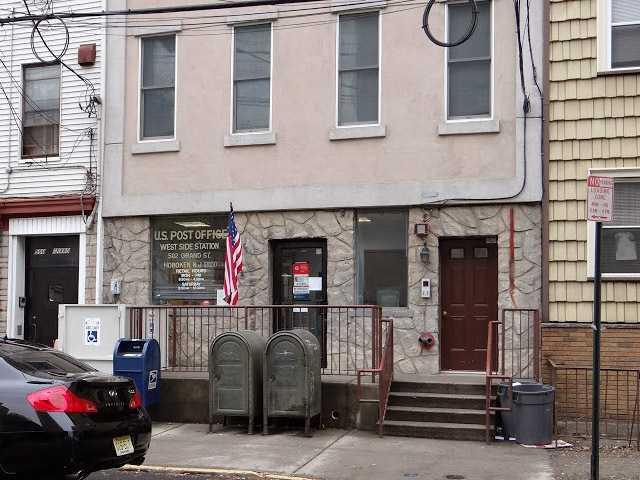 This is not a New Deal post office, as it was constructed in 1931. 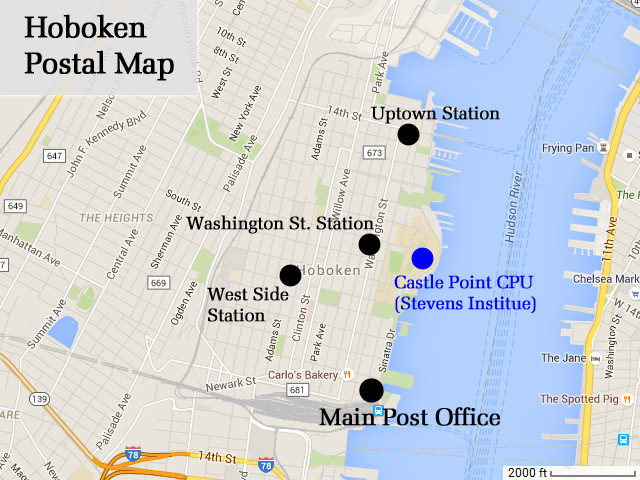 All of Hoboken is covered by the 07030 ZIP code, and the author believes that all carriers for the city are based here. 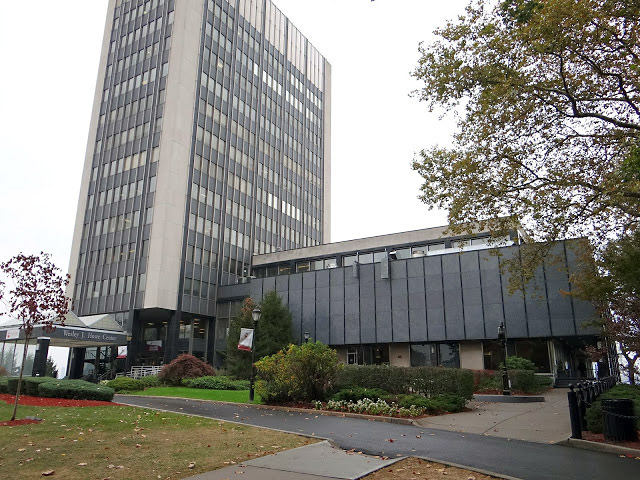 Address: 89 River St.
Hoboken's three USPS-staffed (classified) post offices: Washington Street Station, Uptown Station, and West Side Station, are each small retail spaces, measuring 803, 1,101, and 1,018 square feet, respectively. Each has its own postmark / hand-cancellation. 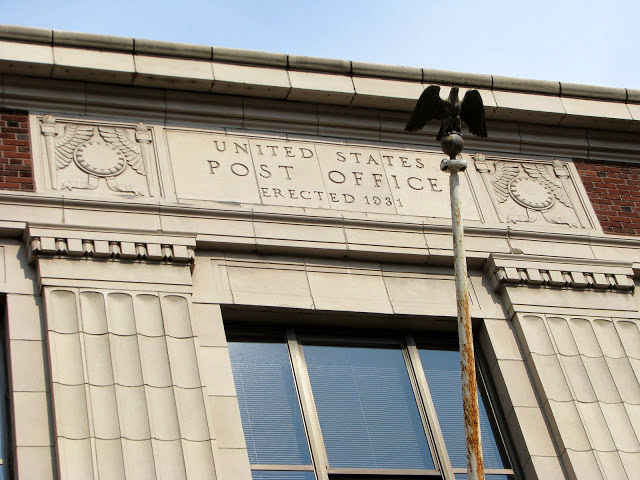 The postal window is at the end of a corridor surrounded by banks of P.O. Boxes.